Frontier Empire is a new series on Disposable Words that looks at the remaining UK colonies, those last outposts of the British Empire that still fly the Union Jack in some of the least likely places on the planet. 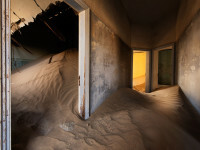 Part II, Ascension Island, will be posted here on Thursday. 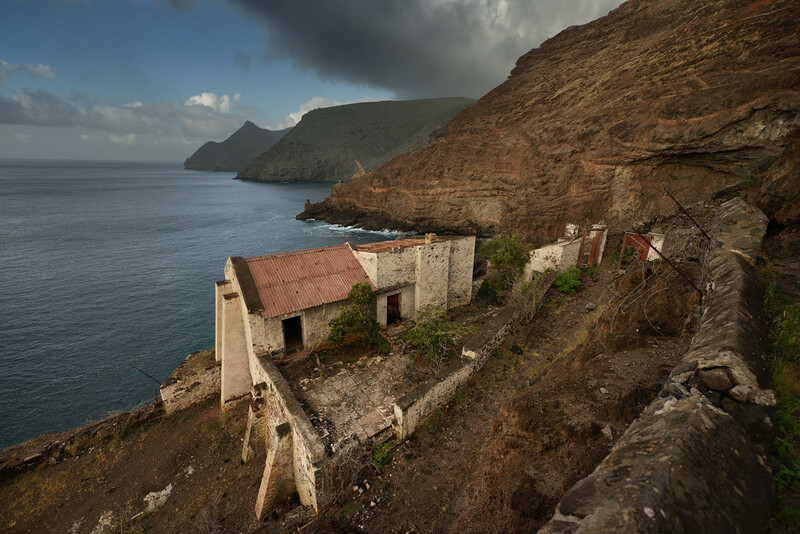 Midway between Africa and South America in the lonely South Atlantic, St Helena wears its status as one of the world’s most remote inhabited places as a mark of pride. Now known to most outsiders only as a footnote of history, a colonial hangover left to fend for itself after the collapse of its last viable industry a half-century ago, its 4000 resident “Saints” live out lives of dogged normalcy despite tough odds. 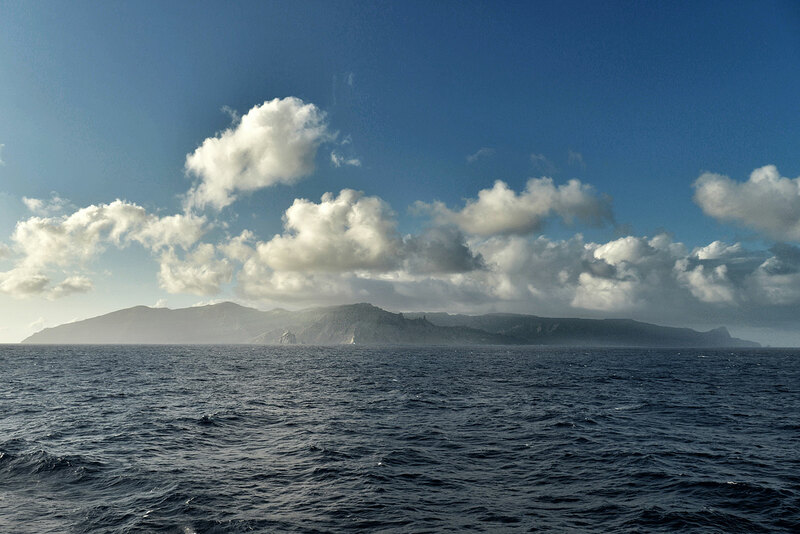 Accessible only by sea, six days from Cape Town or three from Ascension Island, the nearest point of land 1300 km to the north, St Helena once saw over 100 ships calling at James Bay every month. That was in the late 19th century, in the heady days of empire when he who ruled the seas ruled the world. 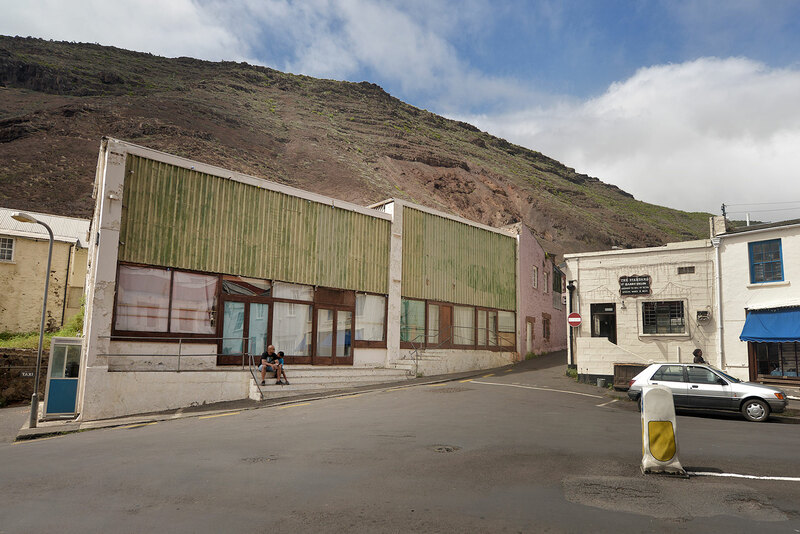 Now the island sees just one ship: the RMS St Helena, the last working Royal Mail Ship still at sea in a jet-fuelled world. Each month for three days when the RMS is in port, the island is transformed. Returning Saints are embraced while others prepare to leave, sometimes for many years. A weeks-long round trip to the nearest city is bound to be anything but spontaneous. The post office works double time to see off the previous month’s mail and to process just-arrived sacks of packages and letters. Containers are unloaded and markets are flush with fresh goods. Computers and cars meet their eager new owners; the future comes to St Helena just once a month. Main Street in Jamestown is a hive of comings and goings, and for those three days the scene resembles one’s imaginings of its past glories as a East India Company trading hub much more than the dozy backwater it has become. And then the ship leaves. As it disappears over the horizon like so many thousands of others before it, well-wishers watching and waving from the wharf, the snug blanket of seclusion settles back in over the tiny island. But change, as we’ll see, is on its way. 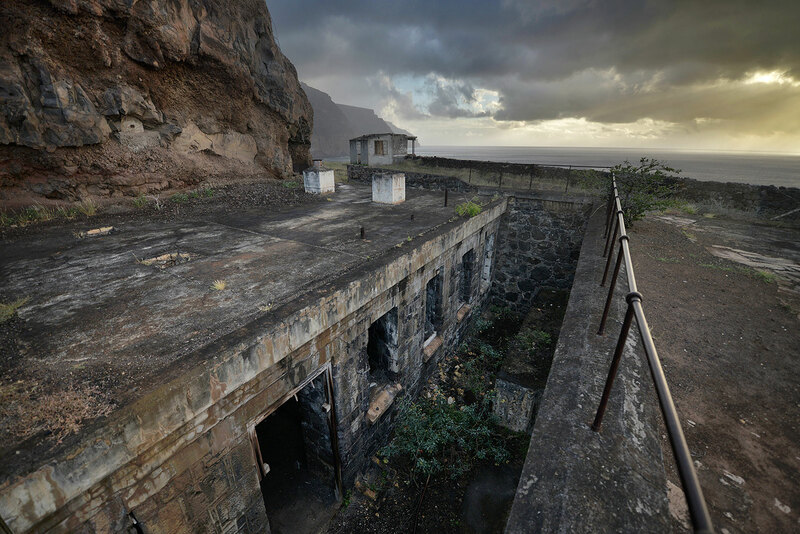 The Basalt Fortress: Rising 800m out of the mid-Atlantic and stretching 7km from tip to tail, first sightings of St Helena have sparked strong emotions in sailors, traders, prisoners and slaves for centuries. 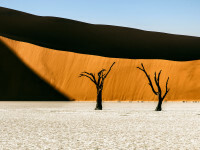 Whether it’s as a place to conquer, tame, defend, terraform, or escape, few plots of land this small have been more things to more people over history. 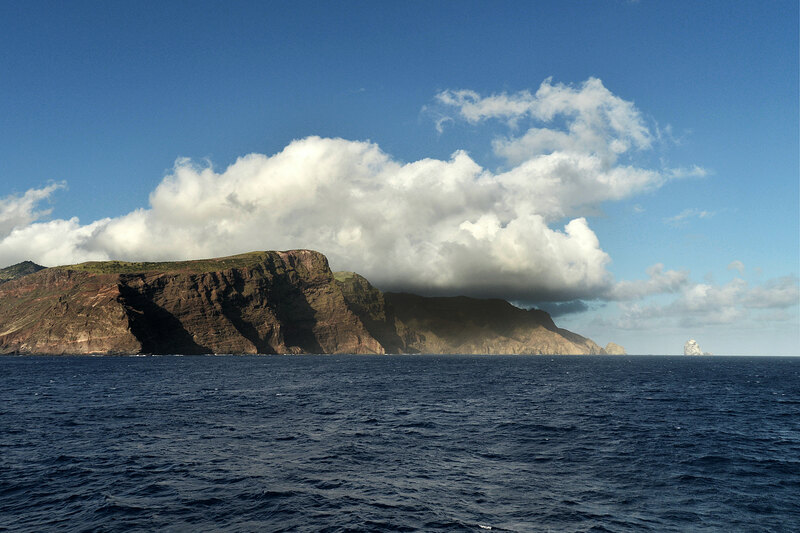 Physical States, Stacked: A trio of water, earth and vapour at 15.9500° S, 5.7167° W. The cathedral cliffs ringing St Helena double as natural fortifications to keep what’s inside in and what’s outside out. 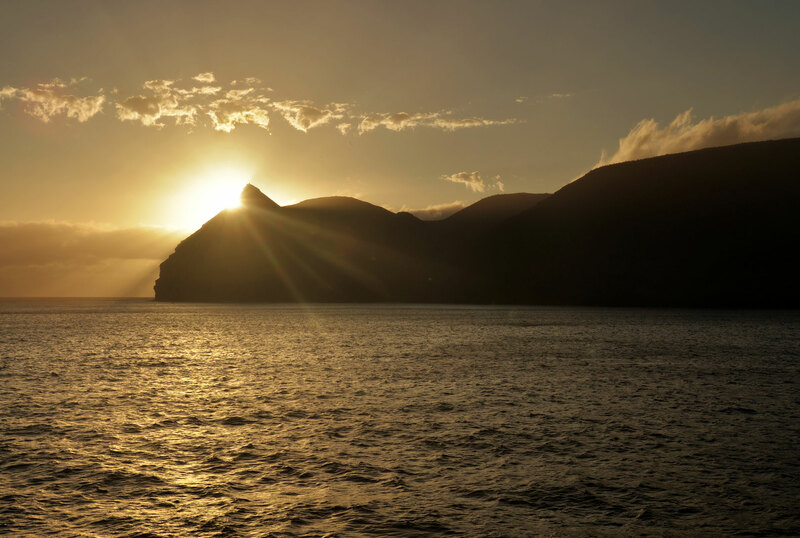 Apart from a few sea-reaching valleys, all of which play host to reinforced battlements of varying vintages (and states of disrepair), the island’s shell is famously impenetrable. 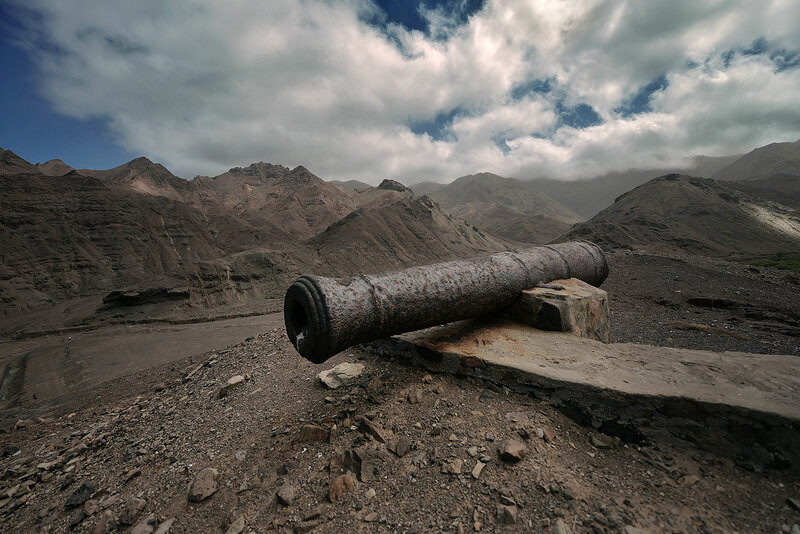 A Cannon’s Dreams of War: Outliving its usefulness by nearly two centuries, a single cannon remains fixed oceanward from within a Napoleonic battery at the lonely (and misleadingly named) island extreme of Sandy Bay. Prisoner Island: An abandoned house sits in ruins on a bluff between the colonial administrative hub of Jamestown and Rupert’s Bay at Munden’s Point. 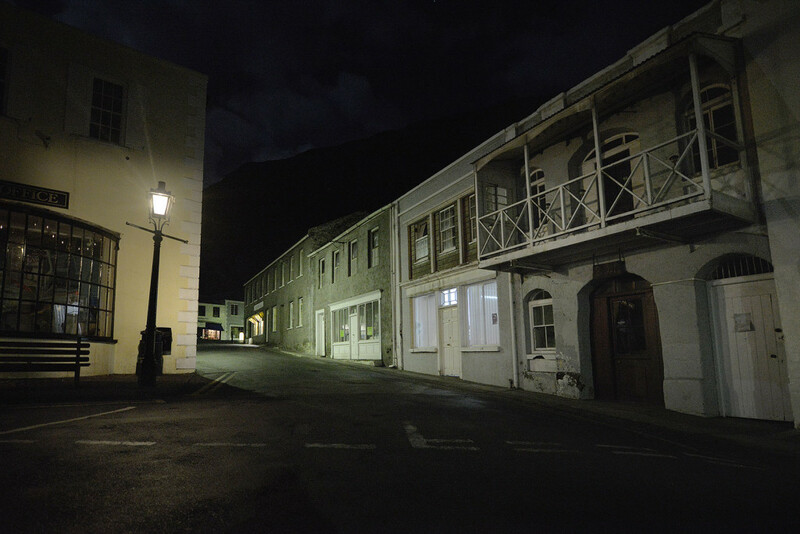 The house was last occupied half a century ago by three Bahraini political prisoners sent to Saint Helena on fifteen-year sentences. Four years after their arrival, the prisoners were found to be under illegal internment and were released. 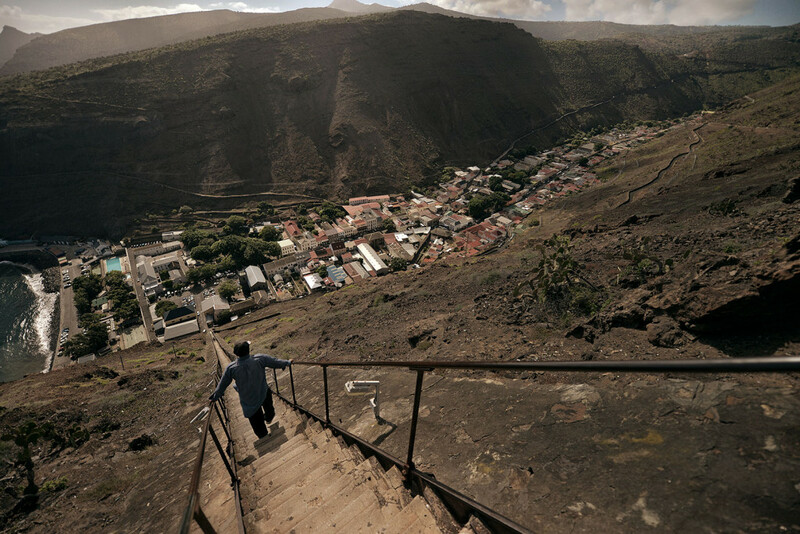 The Town at the End of the World: A local man descends down Jacob’s Ladder, a vertiginous 699-step staircase that connects Jamestown (pictured) to Half Tree Hollow, the clifftop suburb where 800 of the island’s 4000 resident “Saints” live. Built in 1829 as an inclined-plane railway to lift supplies from port to fort, it remains generations later the longest straight staircase in the world. These days it’s also about as close as the island comes to a genuine tourist attraction, with an island record for fastest climb — 5 minutes, 17 seconds — set last year by a man who scrambled up it on all fours. The Standard: A quiet day on Market Street in central Jamestown. With the island population dropping by one-fifth from a latter-day peak of 5,157 in 1998, commerce on the island has slowed, and along much of the Jamestown high street there are nearly as many businesses shuttered as ones that remain open. The pub on frame right, The Standard, is one of two in Jamestown where local Saints can always be counted on to outnumber the administrators, expat consultants and airport workers posted here from England, South Africa and elsewhere. The White Horse: The afternoon sun slips behind the clock tower on Market Street. 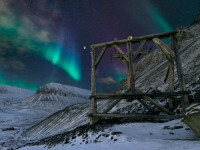 Every hour on the hour between 7 am and 11 pm, the sound of a hand-rung bell echoes through the lower half of the valley. To the right of the clock is the second of Jamestown’s two pubs favoured by Saints, the White Horse Tavern. Drinking often spills out to the street, and empty bottles like the ones gathered at the base of the clock tower are a common sight. Land’s End Sunset: Homes at The Briars, above Jamestown. Locals have dubbed the island’s soft centre “the country”, a verdant core of pastoral England that is a world apart from the island’s cliff-crusted exterior. 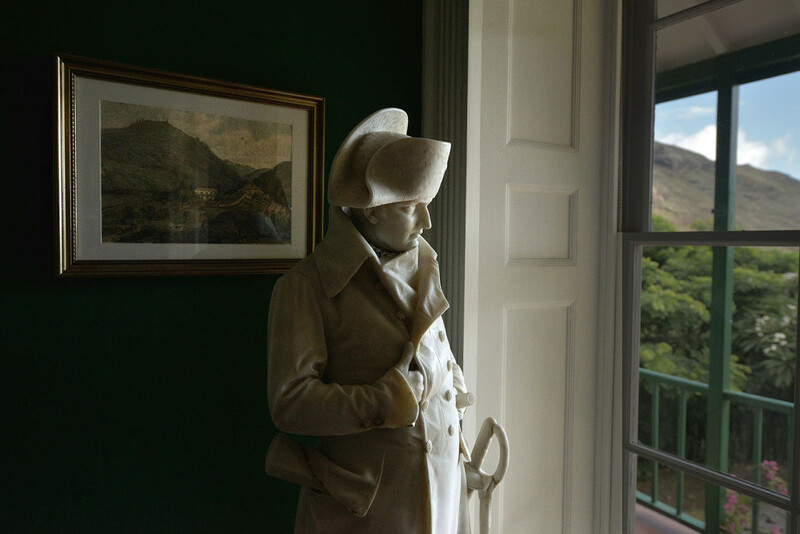 Marble Watchman: The island’s most famous resident, Napoleon Bonaparte, was stripped of his status as French Emperor and exiled to Saint Helena after Waterloo in 1815. 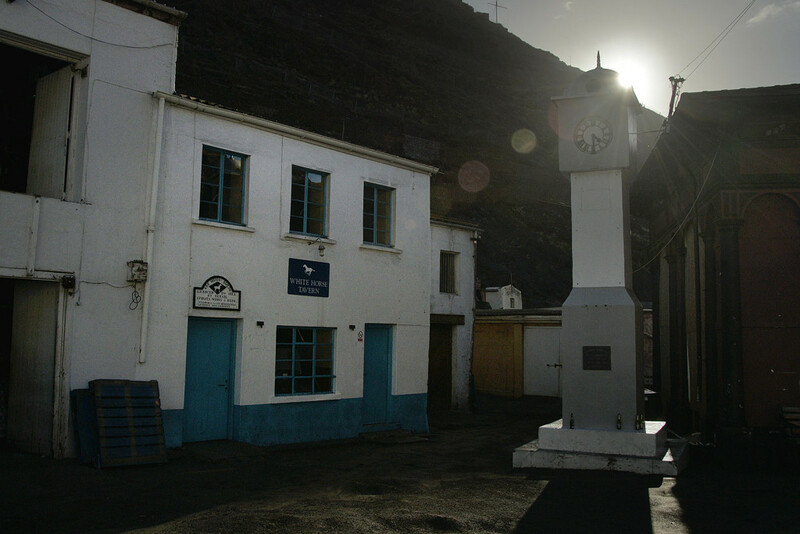 Believing St Helena to be the only place in their empire that Napoleon would never be able to escape from, the British set up garrisons on Ascension and Tristan da Cunha, the nearest points of land, each several days away by sea, to prevent the French from using them as staging posts for a rescue mission. Napoleon lived in this pavilion in The Briars during his first few weeks of captivity, but his friendship with his hosts, the Balcombe family, worried then-Governor Hudson Lowe. The Balcombes were sent packing back to Australia, while Napoleon was moved to a dank home in nearby Longwood. He would die there six years later. 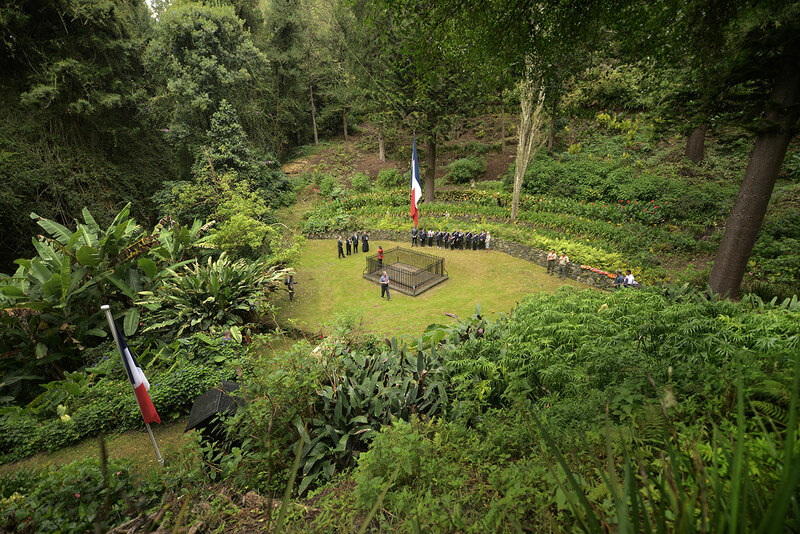 Bilingual: A crowd of island dignitaries and guests gather at the trailhead of the mile-long walk to Napoleon’s tomb for a ceremony marking the 193rd anniversary of his death on St Helena. 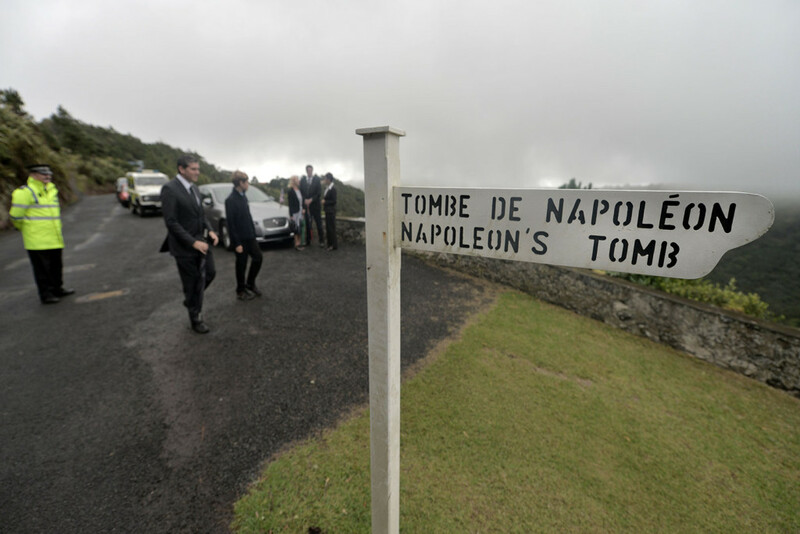 Falling on Repatriated Ears: Local government officials and high school students attend a small ceremony marking the 193rd anniversary of Napoleon’s death on St Helena. After a rendition of the Last Post and a short speech by Acting Governor His Excellency Sean Burns, tradition calls for the laying of wreaths at a tomb that has been empty for 174 years. Napoleon’s remains were returned to Paris in 1840. Copse Window: A country scene near Levelwood in the island’s southeast. 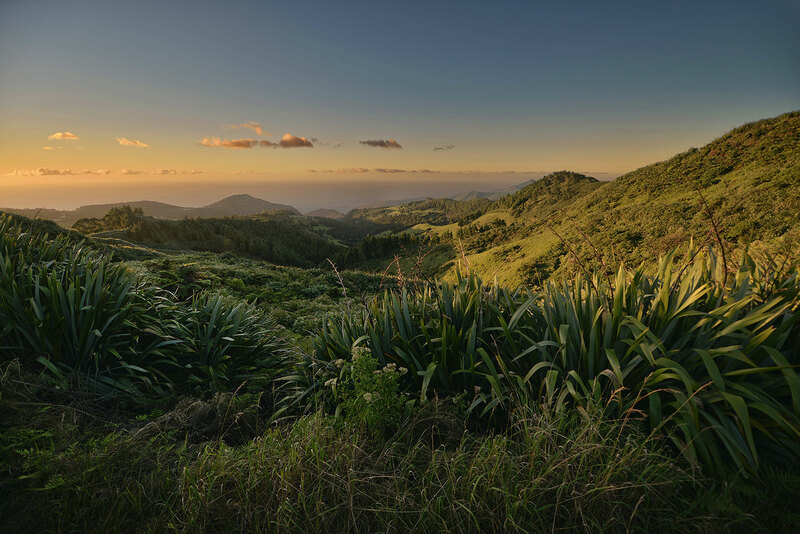 The variety of flora on Saint Helena, both endemic and introduced, is dazzling, helped by a round-the-calendar climate that would be a shoo-in shortlist candidate for the hemisphere’s most agreeable. 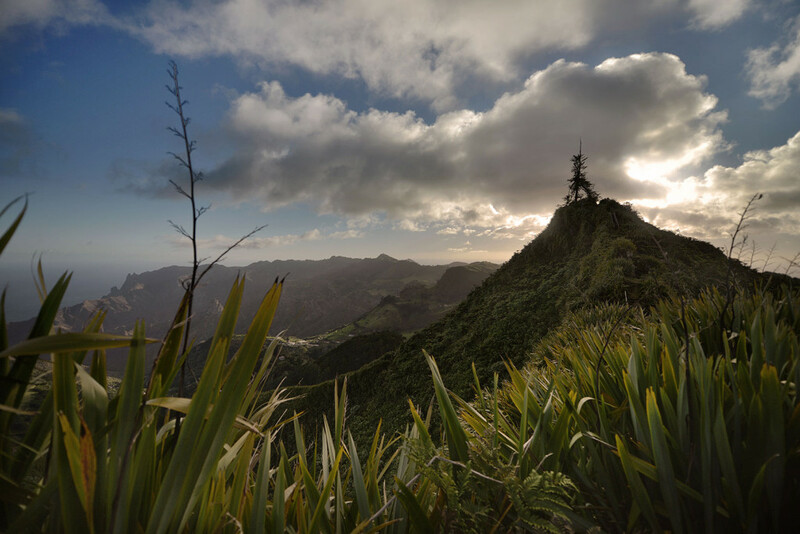 Pine Spire: A wind-battered Norfolk Pine adds 5m to the top of Diana’s Peak, which at 818m ranks second only to Ascension Island’s Green Mountain as the highest point between Africa and South America. 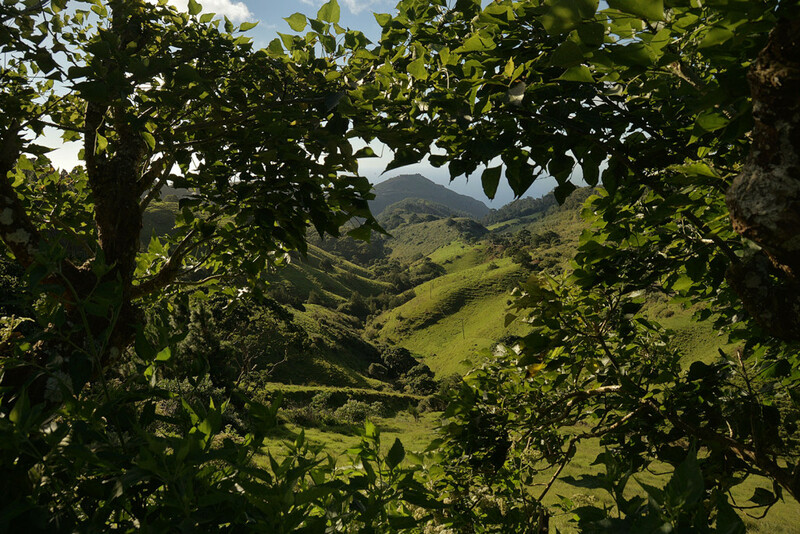 The Green-Skinned Rock Garden: A rumpled blanket of hills and gullies slopes toward the sea. 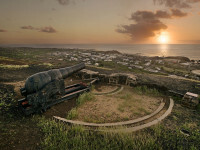 Stormswept Battlements: A ruined battery commands what under more entrepreneurial circumstances might be a million dollar view over James Bay, the island’s only significant anchorage point. 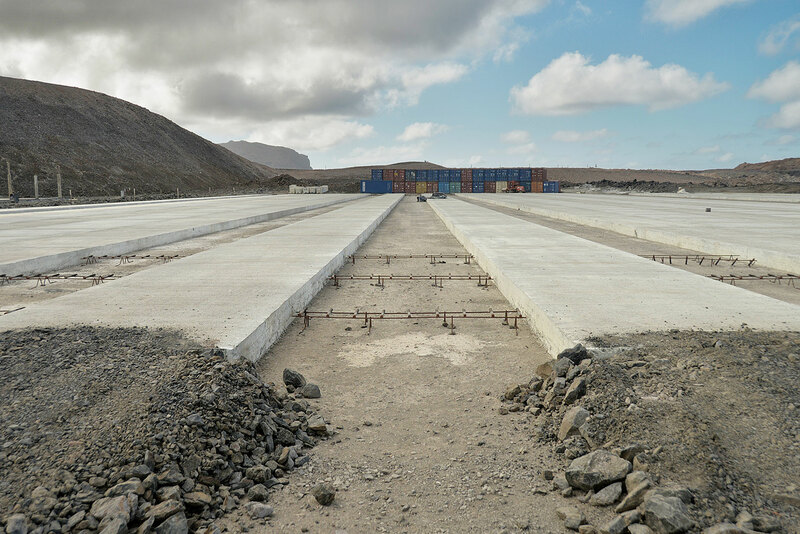 The Rocks’ Dreams of Flight: Concrete and rebar form the skeleton of a runway under construction on Prosperous Bay Plain in the island’s northeast. 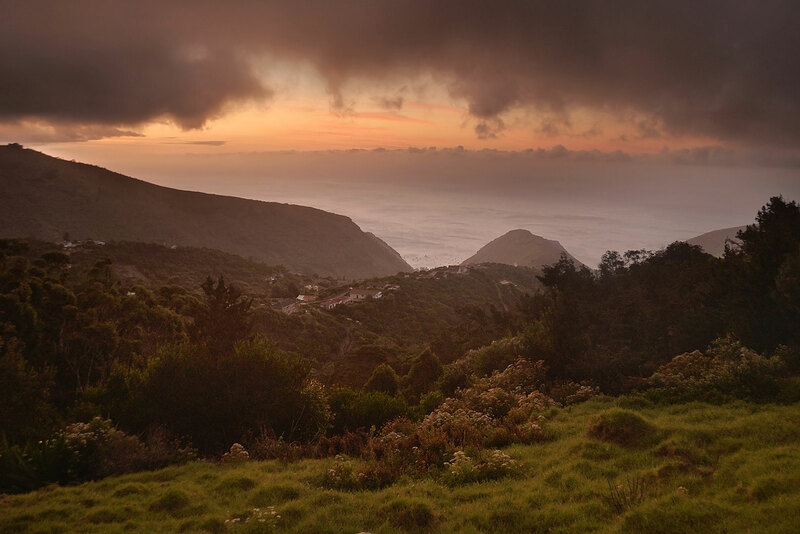 On and off the drawing boards for six decades and finally approved for construction in 2010, the new St Helena Airport will reduce travel time to South Africa from the current six days to mere hours by air. Its proponents believe the airport can wean St Helena off its dependency on UK aid by opening the island up to foreign investment and tourism, and even its detractors concede that medevac will be a welcome addition to an island with a hospital that’s ill-equipped for many serious emergencies. 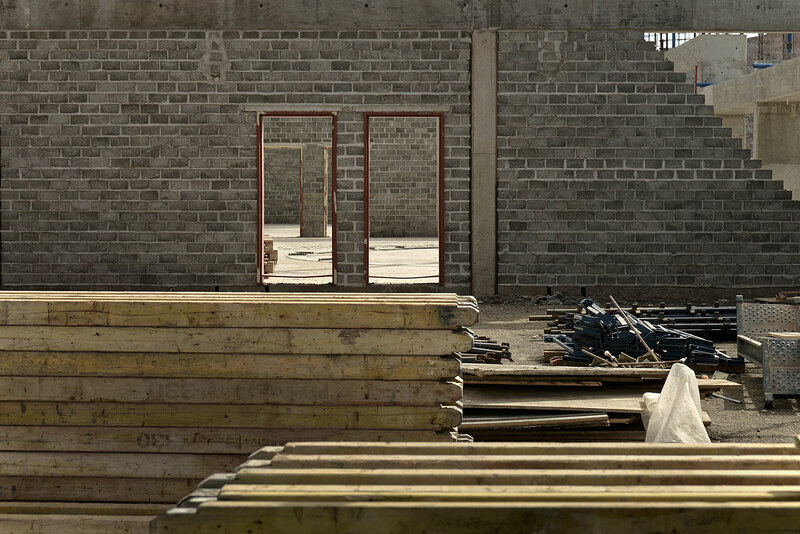 Bricks and Beams: The shell of the airport’s terminal building rises around construction materials. 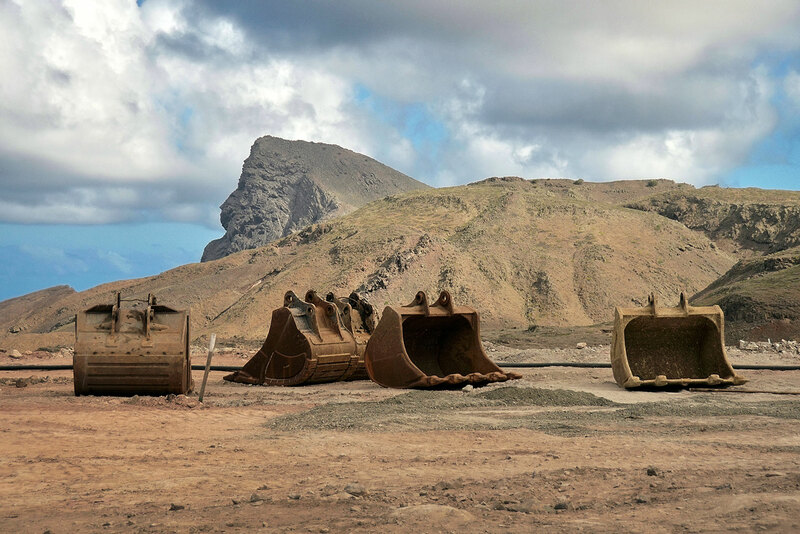 Scoop: Excavator buckets gather at the edge of the airport site. 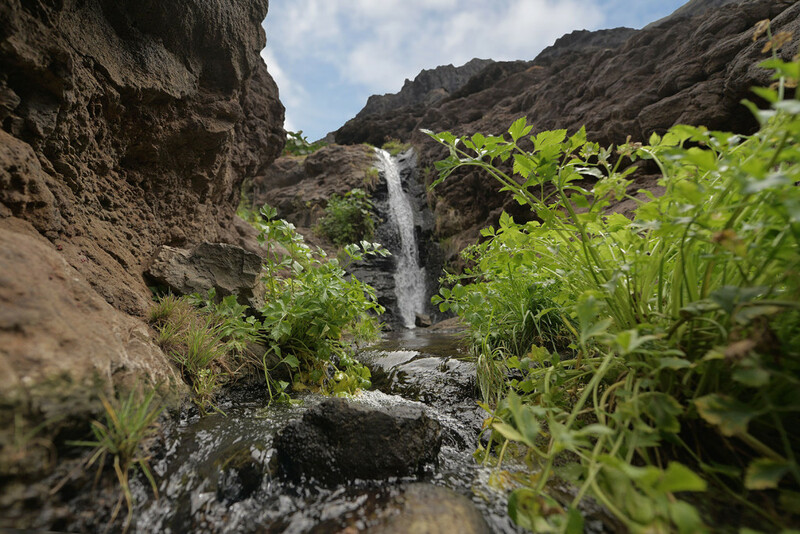 The impossibility of finding a flat plain on the island long enough to build a runway have necessitated the filling of the “Dry Gut”, a gorge adjacent to the airport site, with an estimated 530,000 truckloads of rockfill, raising the 8,000,000m³ cavity by almost 100m. Rush: Wild grasses grow around a depth pool in barren Shark Valley, one mountain ridge and an entire biosphere away from the airport site. Jonathan: If Napoleon is indisputably the island’s most famous resident, a strong case could be made for Jonathan as the runner-up. 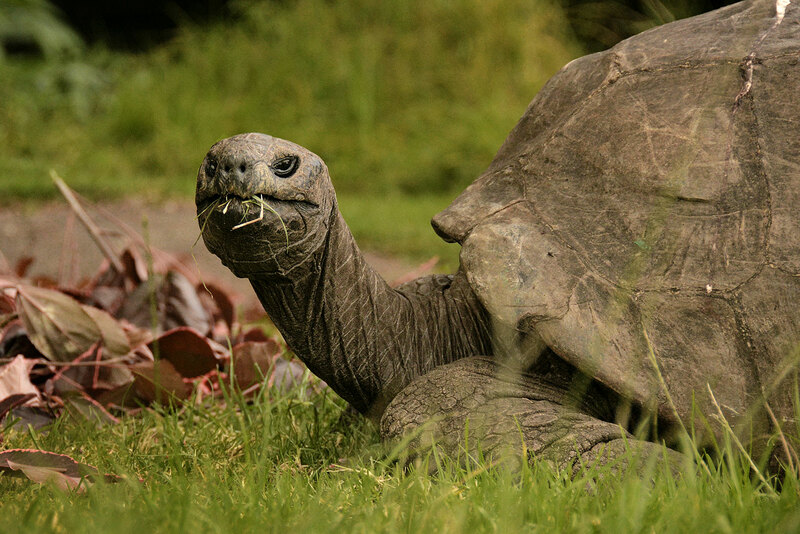 The world’s oldest living land animal, Jonathan has been verified as being at least 182 years old, and may in fact be much older. He also may be the last surviving Seychelles giant tortoise, a subspecies which has been extinct in the wild since 1840. 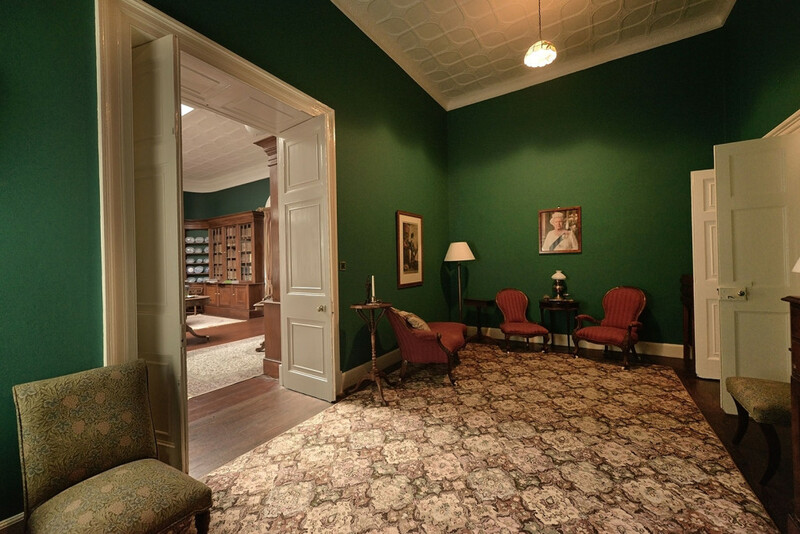 Omniscience: A framed photograph of Queen Elizabeth II keeps watch in Plantation House, the immaculately kept residence of the territory’s Governor. In opposition behind camera, a painting of Napoleon stares right back at her. 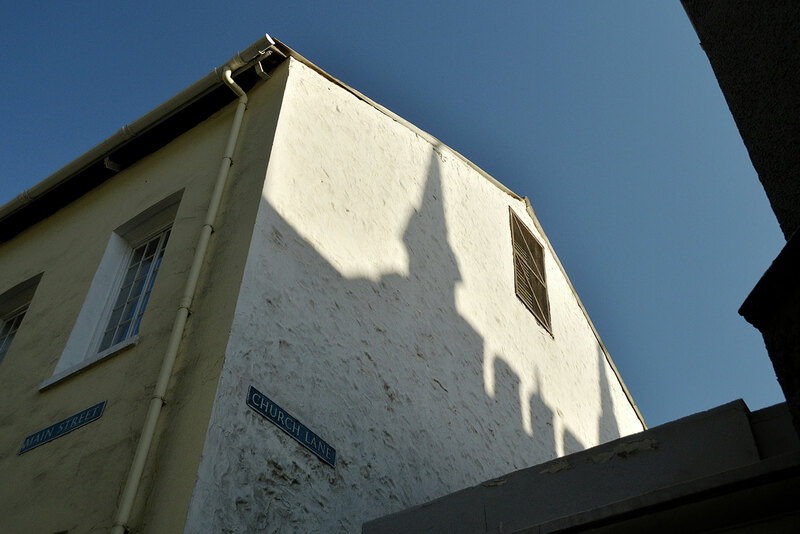 Toothsome: The shadow of the Saint James’ Church steeple falls on a neighbouring building near the Jamestown waterfront. First built in 1671 and replaced with the present building in 1774, Saint James’ is the oldest Anglican church in the southern hemisphere. Left Out of the Roundabout: The scene on Market Street in central Jamestown after dark. With little in the way of facade renovation or new construction for centuries, Jamestown’s trio of high streets remain among the best examples of pure 18th-century Georgian architecture anywhere in the world. Lux: A car’s piercing headlights crawl down the black tracts of Upper Napoleon Street from Alarm Forest late on a Saturday night. Thank you for those wonderful shots of St Helena, I was a cadet during the war on board SS. Empire Rhodes. 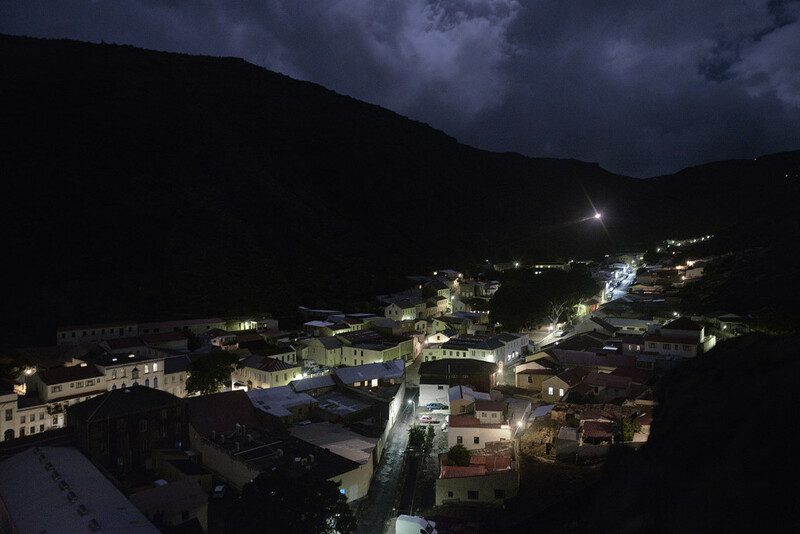 We called at St Helena to deliver provisions, equipment an sheep from South Africa. Due to the treat of enemy action we were not allowed ashore and over the years I’ve often regretted not being allowed to visit this historic island. Those pictures of yours helped a lot. Thank You and my Best Wishes to all on the Island. It was 1943 when we were there. How I miss my island home.